(5) Iris Lam performs magic with magician Avon Lee. When she squeezes an orange to make orange juice, Eric Tsang jokes, "It's from Holland!" Taste tester Wong Cho Lam praises how sharp the magic was as the juice actually has carbonation and turns into orange soda! 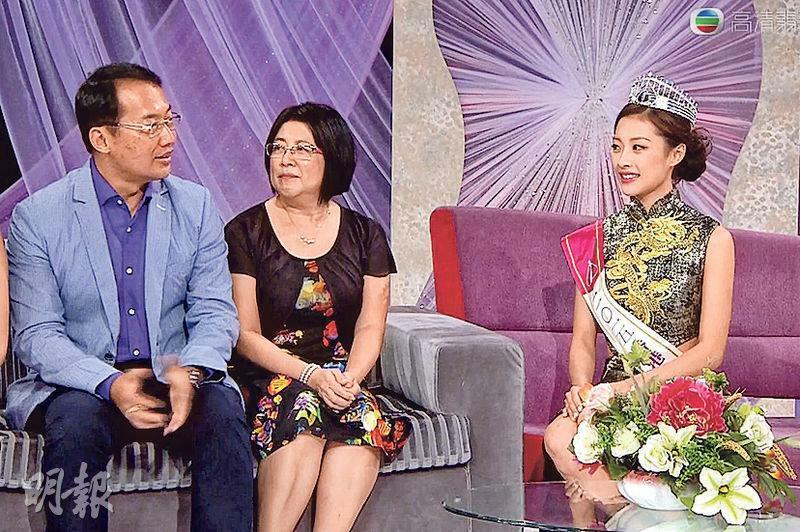 The Miss Hong Kong pageant took place last night at the Tseung Kwan O Television City, an all the city wide voting selected the top three. Finally the "10 A Scholar" (1) Louisa Mak Ming Sze won as the favorite. She also won Miss Photogenic to become a double crown Miss Hong Kong, leaving first runner up (4) Ada Pong Cheuk Yan and second runner up (9) Karmen Kwok in the dust! 12 candidates gave their all to win the crown. Candidates were eliminated throughout the program, each time the general public and the star judges' votes counted for a half. The top four candidates were the "10 A Scholar" Mak Ming Sze, the buxom (2) Jessie Ma Sze Ching, "sharp tongued Ada" Pong Cheuk Yan and "City U Karmen" Kwok Ka Man. 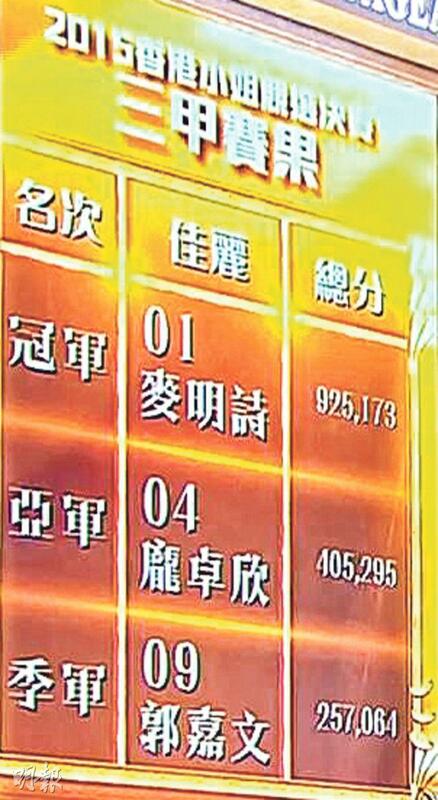 Viewers through their mobile phone app TVB Fun chose the top three. When campaigning for votes each candidate tug at the heart strings and got teary eyed. 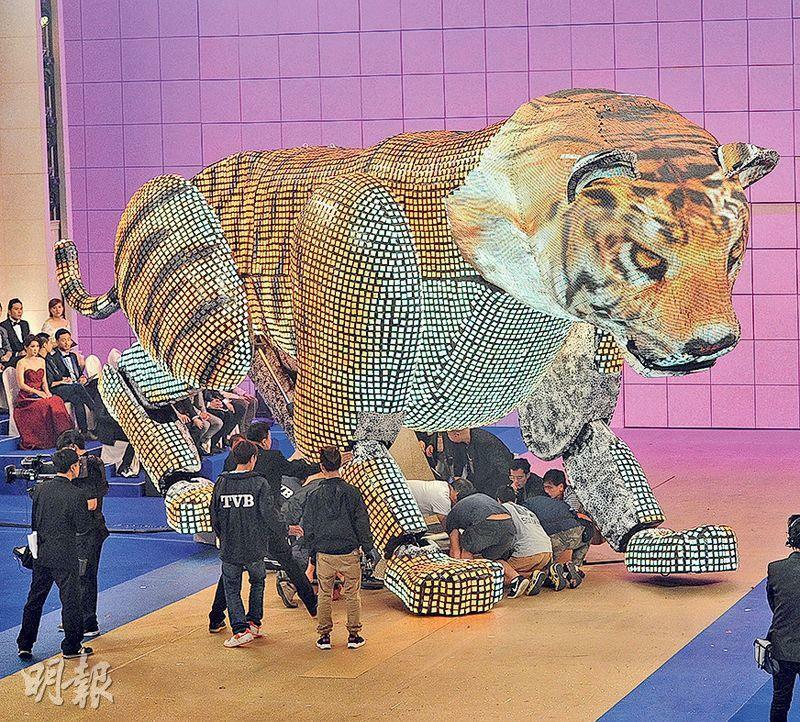 Finally Mak Sze Man won over the people and won (925,173 points). The first runner up was her "nemesis" Pong Cheuk Yan (405,295 points), and the second runner up was Kwok Ka Man (257,064 points). The total voter number was 231,692 votes. 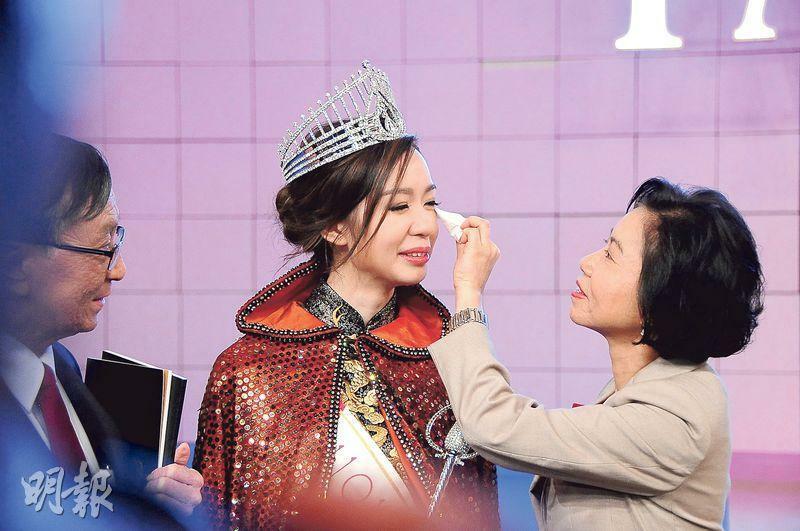 Judges Simon Yam Tat Wa, Wayne Lai Yiu Cheung, William So Wing Hong and Edmond Leung Hon Man voted for Mak Ming Sze to be Miss Photogenic, making her the double crown winner. Last night last year's Miss Hong Kong Veronica Shiu Pui Sze opened the pageant with a performance. 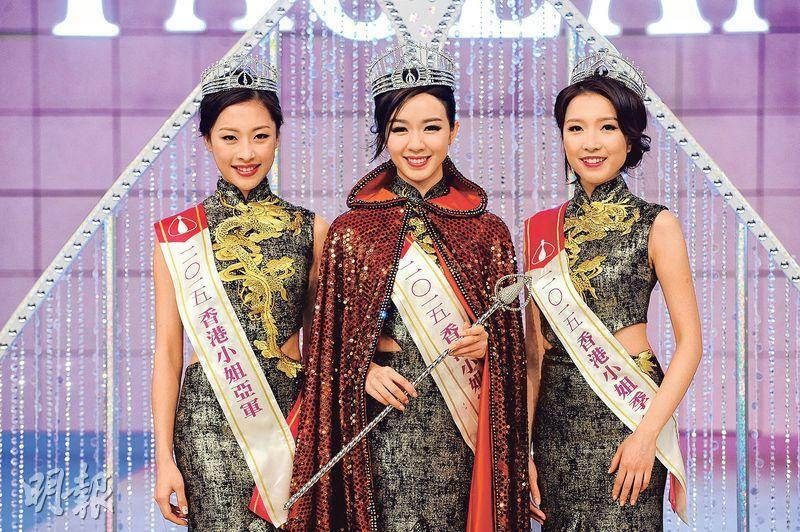 Then Alfred Hui Ting Hung, Fred Cheng Chun Won and Hubert Wu Hung Kwan performed this year's Miss Hong Kong theme song as they led the 12 evening gown wearing candidates to the stage. Mak Ming Sze stole the spotlight in this segment. After the candidates gave an introduction of themselves, the unprecedented eliminated ousted (10) Kristi Chan Ching Yi and (8) Michelle Ching Lei Yan in a rather cruel fashion! Then the ten remaining pageant competed in the talent portion. Most candidates gave dance performance. Mak Ming Sze threw herself into modern dance. With two wardrobe malfunctions previously she said that "hair was a part of life". When she kicked and flipped she had her third mishap and her pads made an appearance as well! The buxom (6) Hayton Ng Wai Hiu showed off her cleavage as she danced. Another more special performance was Pong Cheuk Yan's opera performance with Becky Lee Bik Kei, unfortunately she missed the high note. (5) Lam Hoi Yan performed orange juice squeezing magic with professional magician Avon Lee. (11) Amanda Yeung Yi Man and Ben Wong Chi Yin performed a falling scene from RAISING THE BAR. (12) Sunshine Chu Ka Lei and Jonathan Wong Chi Hin performed percussion music. During this performance the two star mentors Carol Cheng Yui Ling and Eric Tsang Chi Wai kept trading verbal jabs and hilarity ensued. During the swimsuit portion, the candidates wore green bikinis to match the rain forest theme. Mak Ming Sze and (3) Ann Law Tan Hung were too thin for their suits. Ma Sze Ching and Ng Wai Hiu continued to draw attention with their figure, but Ng Wai Hiu was unable to win over the audience as she and (7) Sylvia Ng Pui Yan were both voted out to the surprise of many guests as they went "huh". During the question and answer portion, nicknamed "sharp tongued Ada" Pong Cheuk Yan was beyond confident. When asked whom she would suggest for the prepaid card commercial, she said, "I think this year's Miss Hong Kong, in other words me!" 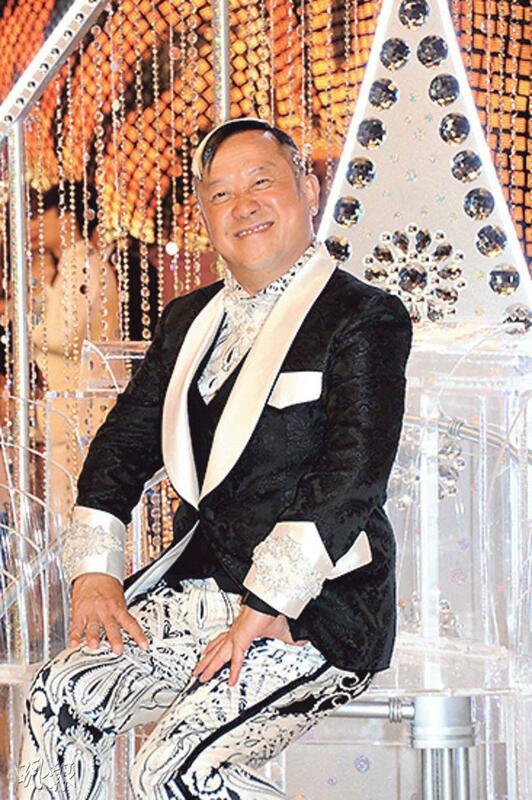 Kwok Ka Man said that there should be a "thin people tax" and said that Law Tang Tung went too far with her weight loss. Recently praised for slimming down, Chu Ka Lei's belly returned last night. She was made fun of for her inability to express herself in Chinese but won a lot of laughter in return.